Marina Dalmacija is centrally located on the Adriatic coast only 7 km south of Zadar and surrounded by beautiful indented archipelago, it is very popular base with many nautical enthusiasts. Marina is located on the north side of a large natural bay along whose shores on the opposite side stretches town of Sukošan, hence the name marina “Sukošan” how it is sometimes called. Marina is separated by two kilometers wide Zadar strait from the nearby islands of Ugljan and Pašman, and it is only few hours of sailing away from the beautiful and famous National Park Kornati, so it therefore represents an ideal starting point for visiting this unforgettable beauty of Dalmatia. 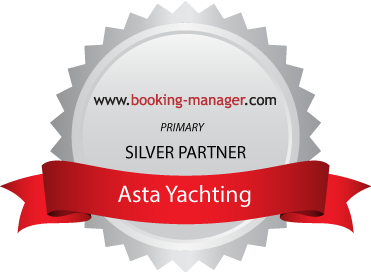 Marina covers an area of 35 hectares and with its 1200 fully equipped berths and 500 dry berths is the largest nautical center in Croatia and an important nautical and tourist point of this part of the coast. Thanks to its equipment according to the international standards, spacious berths and appropriate depth, marina Dalmacija is suitable for vessels up to 25 meters of length, and up to 80 meters long yachts in transit. In the marina you will find a wide range of services such as boat and marine engine repair service, cleaning and maintenance of the sail and motor boats and similar. There is a gas station, laundry service, and modern sanitary facilities, as well as groceries and restaurants. During construction of the marina, whole project was guided by a special concern for environmental conservation and protection of natural bay in which it is situated. Marina has its own wastewater treatment plant and a special system for the compulsory water exchange. One of the advantages of marina Dalmacija is certainly its excellent transport connections. Regional Airport Zemunik is located only 5 km from Zadar and it is frequently connected with major European cities. Zadar is easily accessible by bus or car through the recently built highway “Dalmatina”. Be sure to return the fullﬁlled crew list together with copy of your skipper licence and your mobile phone number not later than 7 days prior to your arrival. Supermarket: working hours from 8.00 till 20.00h. Fuel station: next to the pier 1, working hours from 8.00 till 20.00h. Distance from ZADAR airport to marina Dalmacija is cca. 7 km and from SPLIT airport cca. 120 km. Please inform us on time so we can successfully organise your transfer. Please note that payment can be done only in cash in kuna at the exit ramps.